23 April 1775, the English Romanticist landscape artist J.M.W. Turner was born in Covent Garden, London, allegedly on St George’s Day. She is a ghost ship. White as if she had already risen from the grave, the ugly, steaming black thing in front tugging her to across the cesspool of a river gilded by a gloriously setting sun that illuminates a London pea souper into something welling out of a mythic age. The swan song of the Age of Sail and the Wooden Walls of England that had kept her safe through endless wars with the continent since the Dutch raided the Medway in 1667. “Temeraire”, no longer HMS, His Majesty’s Ship, since she was already sold for scrap, white, like a Spanish 1st rate and not a British ship of the line in distinctive black and yellow “Nelson Chequer”, no longer “saucy”, as she was known in the fleet in her days, had become the embodiment of an era under the imagination and brush of one of Britain’s very patriotic, visionary and finest painters, J.M.W. Turner. 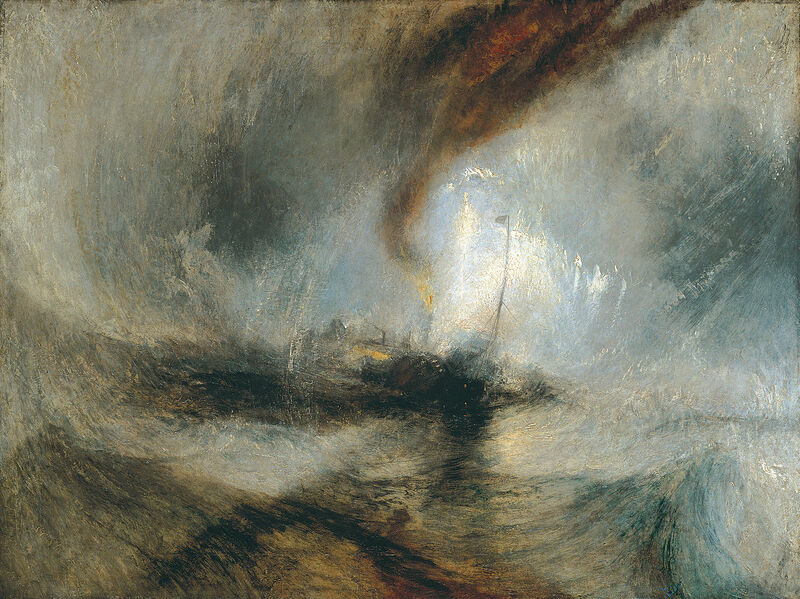 She had already made her appearance in his earlier works commemorating the Battle of Trafalgar, in the background, shrouded in gunsmoke and the chaos of masts, spars and shot-torn canvas of the melee that was her finest hour, first in “The Battle of Trafalgar, as Seen from the Mizen Starboard Shrouds of the Victory” from 1806 and, almost twenty years later, in Turner’s rather allegoric “Battle of Trafalgar”. 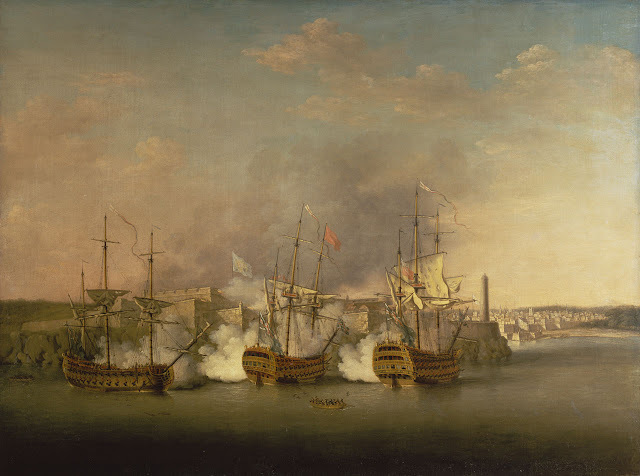 And while the artist was present when Nelson’s lead-lined, brandy-filled coffin was carried from his battered “Victory” when she finally was moored in the Nore, he took his time to travel down to Portsmouth to see other veterans of Trafalgar, “Temeraire” among them, made sketches, interviewed survivors and gathered the inspiration that went into his celebrated marine paintings, those commemorating and retelling the battle as well as others. He didn’t see “Temeraire’s” end, though, like thousands did in September 1838. After serving as a prison and then as a receiving ship for twenty-five years, the “Fighting Temeraire” had fired her guns for the last time in June to salute the coronation of Queen Victoria. Then her artillery was removed, her masts cut down and the ugly black, towering hulk that remained was tugged by two paddle steamers up from Sheerness to Rotherhithe and gutted at Beatson’s Wharf in Limehouse Reach and her remains sold. "Perhaps, where the low gate opens to some cottage garden, the tired traveller may ask, idly, why the moss grows so green on its rugged wood, and even the sailor's child may not answer nor know that the night dew lies deep in the war rents of the wood of the old Temeraire", wrote John Ruskin, art critic and Turner-admirer. 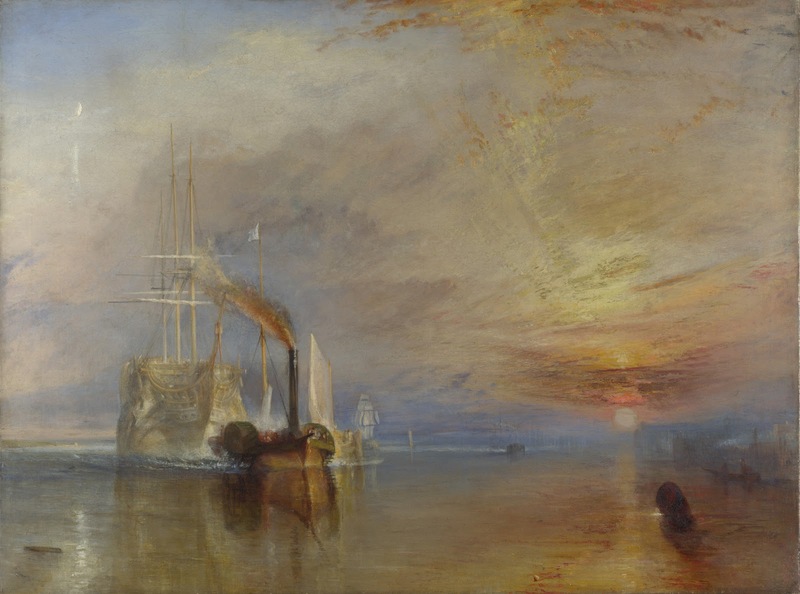 But by then, “The Fighting Temeraire” already had become a myth and not least because of Turner’s iconic painting. Whether Turner bemoans a bygone age under a setting sun or celebrates the glorious dawn of a new one or manages to splice the imagery of past, present and future into a sublime vision of Britain’s industrial age is in the eye of the beholder. In all probability, Turner wasn’t born on 23 April but set the date deliberately and patriotically on St George’s Day, the date commemorating England’s patron saint. That it was Shakespeare’s probable day of birth and death as well didn’t do any harm either, Romantic as Turner was. Mr Turner senior was a barber and wig maker in Covent Garden with some influential customers, his junior proved to be quite an apt and self-taught young draughtsman, his proud papa exhibited his son’s drawings in the shop windows and at the age of 15, Joseph Mallord William joined the Royal Academy as one of its youngest members. Located back then in Somerset House, young Turner learned painting in earnest at the feet of grand mannered Sir Joshua Reynolds while right next door the Royal Society was in session and discussed and demonstrated the latest insights in natural science while the Age of Enlightenment had already climaxed in the French Revolution on the continent and the Industrial Revolution in Great Britain. 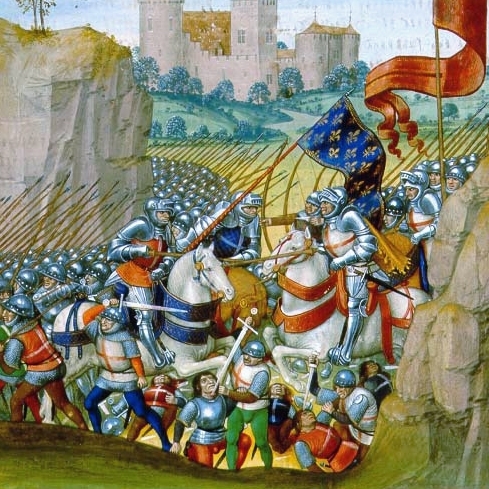 And while the emerging Romantic Movement, by and large, writers, painters and musicians, began to fight enlightenment’s rationality with tooth and claw, warming up to the ideas of the revolt in France and paradoxically revered a glorified, fairytale-like past and found solace in nature, the very state of the land the industrial revolutionaries were about to dam, harness and exploit for progress and the betterment of mankind in general, the finer points of distinction between mere beauty and the sheer, awe-inspiring sublime à la Burke and Kant were interpreted in rational discourse while the rest of the Romantics just felt it. In contemplating old ruins, alpine peaks, sea storms and the fate of exceptional human beings. While Turner wept, allegedly, when he saw a landscape by Claude Lorrain for the first time. He would never paint like this. Nor would he. But he learned a thing or two. To reduce individual humanity to background staffage, for example. And to use the sun as direct, immediate source of light in his land- and seascapes for the first time since Lorraine did more than a hundred years before. Maybe the light produced by the polluted atmosphere after the eruption of Mount Tambora in the Dutch East Indies in the Year without a Summer of 1816 played a role as well, maybe even more than Lorraine and the physical findings of the Royal Society. The latter usually entered Turner’s concepts rather as soon as they were published. But, more and more, strange suns and fantastically coloured clouds set the stage for Turner’s imagination of the Promethean struggle of England’s steps into the Industrial Age, dark Satanic mills, rain, steam and speed and all that. And sublimely Romantic. Smallness, smoothness, delicacy of all things beautiful. With one sweep, Burke’s “A Philosophical Enquiry into the Origin of Our Ideas of the Sublime and Beautiful” from 1757 had degraded Winckelmann’s ideal of classic beauty into a nerve-calming remedy on par with a few drops of valerian essential oil. Satan battling God, natural catastrophes, at best bathed in dazzling light or clouded in near darkness, there was the rub. Awe-inspiring phenomena that induced terror and put mankind in its place. That was what being sublime was all about. “Dark, uncertain, and confused", as Burke himself put it and thus having a cathartic effect, far more and deeper than beauty, at the latest when the subject realised that all was perception, fiction. 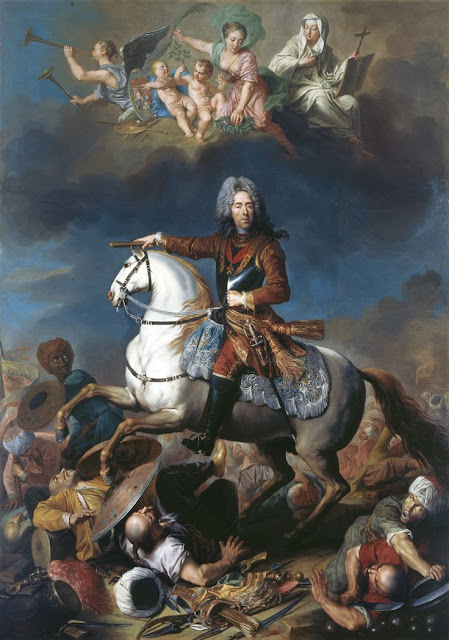 With Burke and the Romantic’s exegesis of his works, Modernity began to dawn in Europe. Turner painted his fair share of the sublime. By the sea, in the Alps, in imagination of the horror, the glory and the pain of battles at sea. And, slowly but surely, the dark Satanic mills crept into landscapes à la Lorraine. Just as they did in real England’s green and pleasant land. 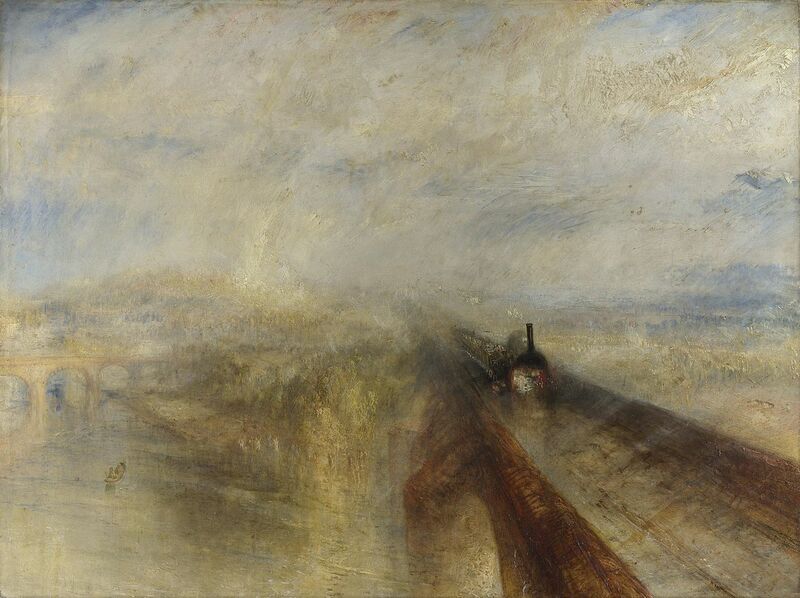 While others, first and foremost Constable, magnificently captured landscapes and clouds as they were probably since those feet in ancient time walked upon mountains green, Turner embraced the awe-inspiring human endeavours of the Industrial Age, disassembled reality under the auspices of natural science and progress and put it back together, according to his own perception and his own narrative, bathed in the light that only he could paint. William Blake wrote a quote from the scriptures beneath his poem: "Would to God that all the Lords people were Prophets". Turner certainly wasn’t a with-bearded, wild-eyed, bournous-clad prophet of Old Testament dimensions. There were other Romantics who fitted that bill far better than he did. But he was a visionary in every sense of the word. A singularity among the Romantics, after all was said and done, and an artist without immediate successors. It took Europe at least a generation to catch up with Turner, when French Impressionism salvaged snatchings from his overwhelming legacy and processed them into their own vision. And now it was upon his epigones to cry that they would never see, let alone paint, like Turner.